Life Med Ambulance Services urges the public to take the necessary precautionary measures to ensure that you arrive safely at your destination. Plan your route, including stops, and ensure you make provision to stop every 200kms or every two hours to rest, refuel and refresh. Look at the planning of your trip and avoid the rush days when there is bound to be heavier traffic on the roads. 3 If possible, leave a day sooner, or a day later. Do the same for the return leg of your journey. 4. Buckle up. This includes all passengers, including toddlers under three who, legally, must be in a car seat, and children 1.3m or shorter need to be in booster seats. We can not put enough emphasis on this golden rule. Seatbelts save lives. 5. Obey all the rules of the road, and drive to the conditions of the road. If the road is marked 120km but visibility is poor, decrease your speed to ensure clear vision of the road ahead. 6. Be courteous of other drivers. Remember everyone has a right to be on the road. 7. Make sure arrangements for overnight accommodation are done before you leave. 8. Ensure your car is in good condition and roadworthy and ready to take you to your destination and bring you home again. 9. Inspect the tyres (including the spare tyre) and make sure they have sufficient tread for the road ahead. Tyres are a key safety feature on vehicles. They are the only thing between the vehicle and the road, and because of this, ensuring their continued good condition is vital. Any tyres which are bald, or under or over-inflated, can be dangerous. 11. Put your cell phone and other electronic devices away while driving. Focus on the road and on other drivers. Distracted driving diminishes reaction time. 12. Make sure you have a First Aid Car Travel Kit to treat minor injuries or sickness while on the road. 60% of drownings happen over the festive season. Take precaution to avoid becoming part of the statistics. 1. Never allow your child to swim alone without any adult supervision. It is quite common to develop a cramp underwater, or for accidents like hitting your head while diving for example, to occur. It is very important that there should be persons around to help in such situations. Do not allow children that cannot swim, in or around the pool. For good pool, safety make sure that all kids above the age of 4 attend a certified swimming class, or at least learn basic flotation techniques and life-saving techniques in case of accidents. Children younger than 6 should always be accompanied by their parents in the pool. Enclose your pool with high fences, which can be locked. Do not leave the pool open and accessible since children can fall inside. Keep your pool safe and keep your kids away from the pool. A child that falls into the pool will not make a big enough splash in the water for you to hear, so install a warning alarm that can be purchased from suppliers of pool products. Avoid leaving your kids alone even with small portable pools or water bodies like buckets, fountains, and barrels. Children can also drown in these small bodies of water. For good pool safety, you can make sure that there is always a lifesaving flotation device handy near the pool. 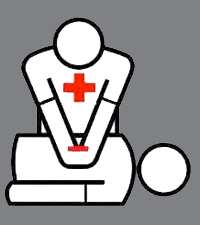 Make sure that you know basic First Aid and CPR in case of an emergency. Make sure that you have the emergency number 0861 086 911 saved on your phone for any emergencies. Check the scene and the person. Make sure the scene is safe, then tap the person on the shoulder and shout “Are you OK?” to ensure that the person needs help. 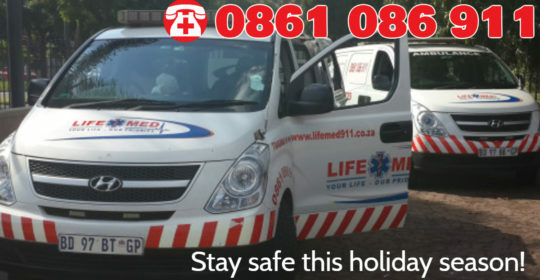 Call an ambulance for assistance – 0861 086 911. Open the airway. 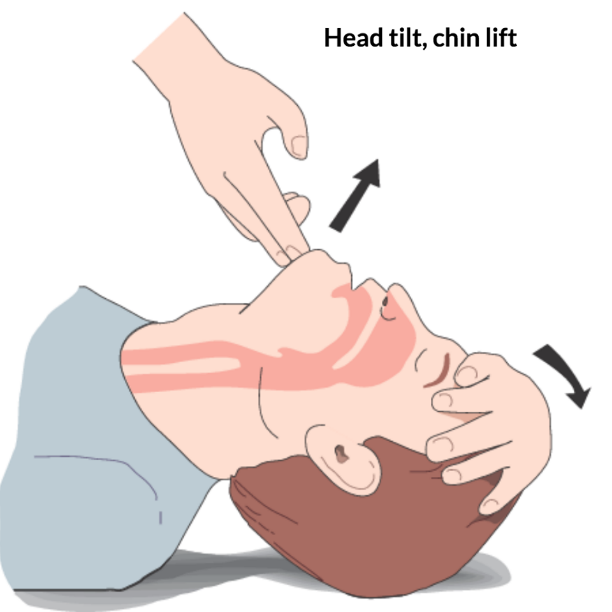 With the person lying on his or her back, tilt the head back slightly to lift the chin. Check for breathing. Listen carefully, for no more than 10 seconds, for sounds of breathing. (Occasional gasping sounds do not equate to breathing.) If there is no breathing begin CPR. Push hard, push fast. Place your hands, one on top of the other, in the middle of the chest. Use your body weight to help you administer 30 compressions that are at least 5cm deep and delivered at a rate of at least 100 compressions per minute. Deliver rescue breaths. With the person’s head tilted back slightly and the chin lifted, pinch the nose shut and place your mouth over the person’s mouth to make a complete seal. Blow into the person’s mouth to make the chest rise. Deliver two rescue breaths, then continue compressions. Continue CPR steps. Keep performing cycles of chest compressions and breathing until the person exhibits signs of life, such as breathing or EMS or a trained medical responder arrives on the scene. Note: End the cycles if the scene becomes unsafe or you cannot continue performing CPR due to exhaustion. We wish everyone a happy and safe holiday season! !